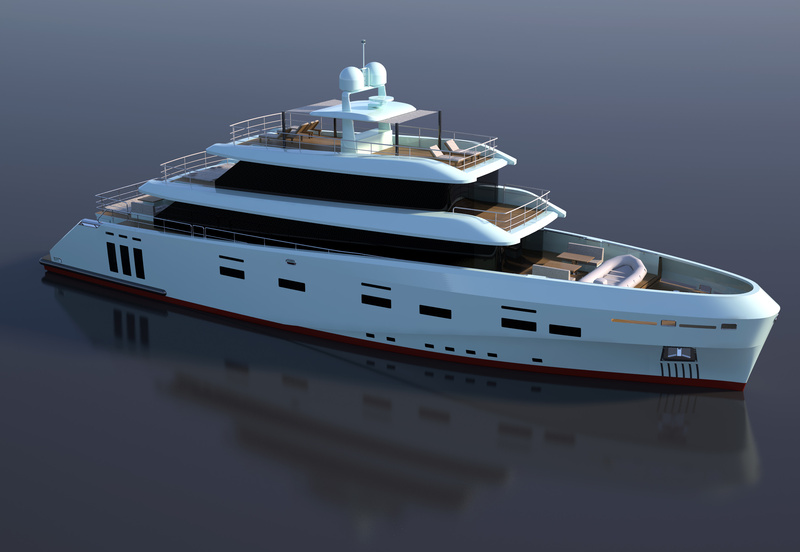 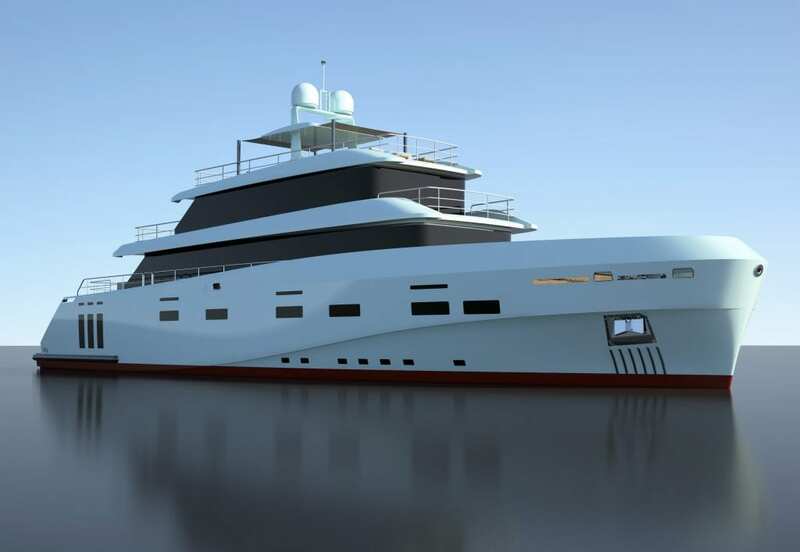 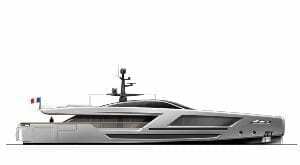 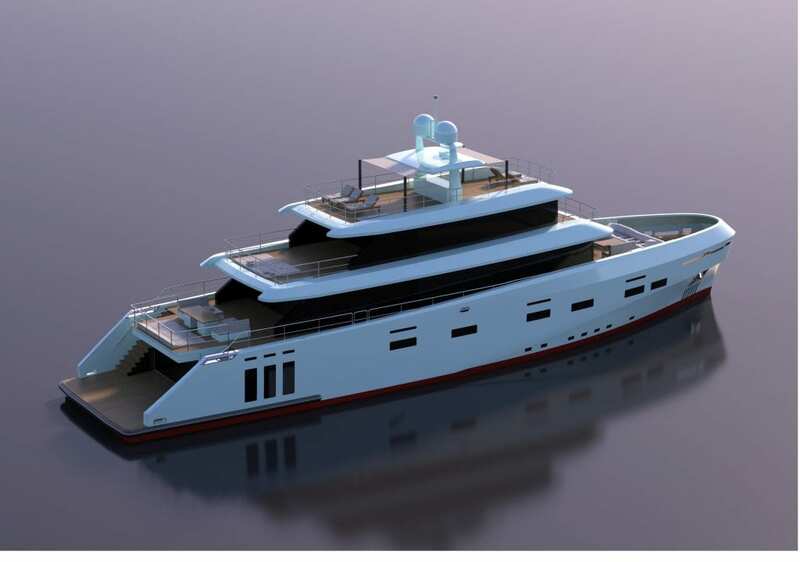 Floating Life, Owner of the K series projects, entrusted CCN-Cerri Cantieri Navali with the construction of this new 40 meter Light Ice Class expedition yacht. 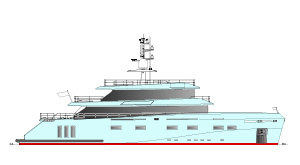 Andrea Pezzini – project manager and Floating Life Managing Director – in collaboration with Studio Sculli, developed the project of M / Y K40 with the precise goal of cruising around the world, and has therefore been designed for long-range cruises across the Mediterranean Sea, but also the oceans, all the way up to the coldest seas. 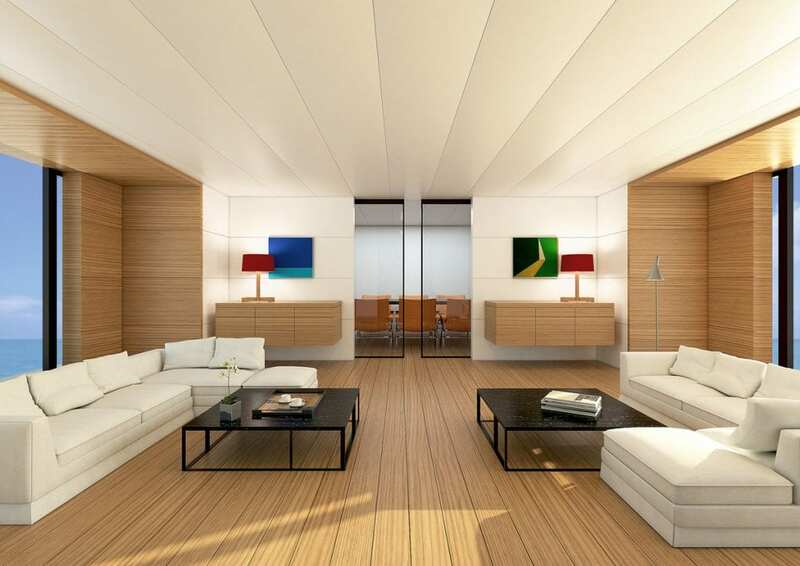 During the design process the primary guidelines were determined, based on the owner’s specific requests. 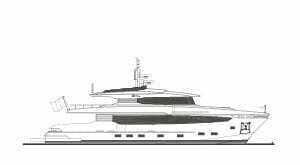 These have resulted in an almost 41 meter yacht with a maximum beam of 9 meters. 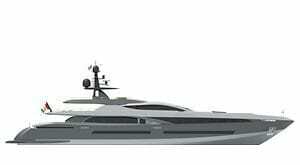 The hull will be made of steel, reinforced to meet Light Ice Class requirements, while the superstructure will be in aluminum. 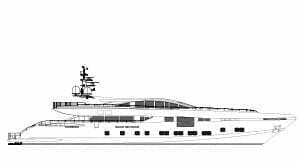 An aerodynamic analysis of the superstructure will also be completed before the cutting of the aluminum sheets begins, identifying the level of protection through the exposed areas at cruising speed. 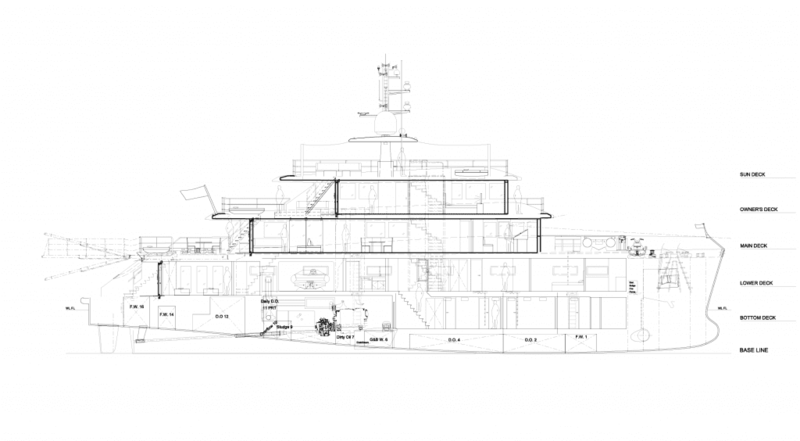 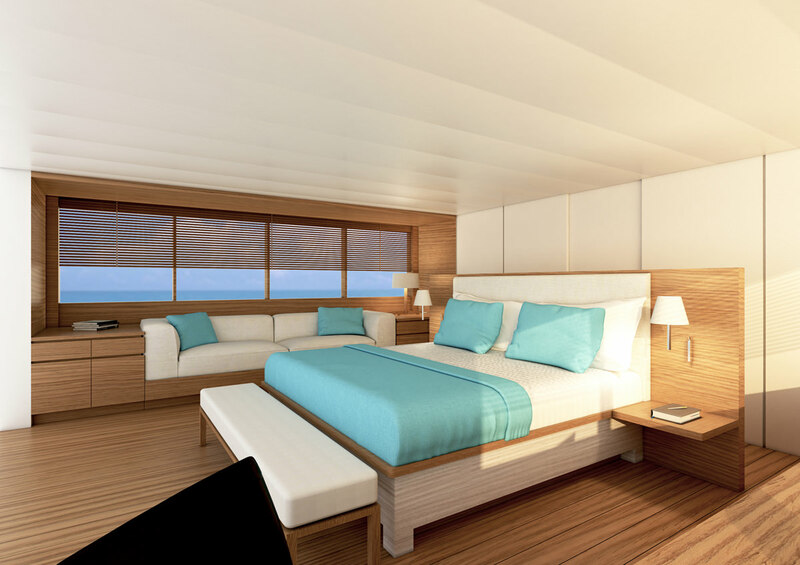 Hull and superstructure design style is modern minimalist with a few traditional overtones. 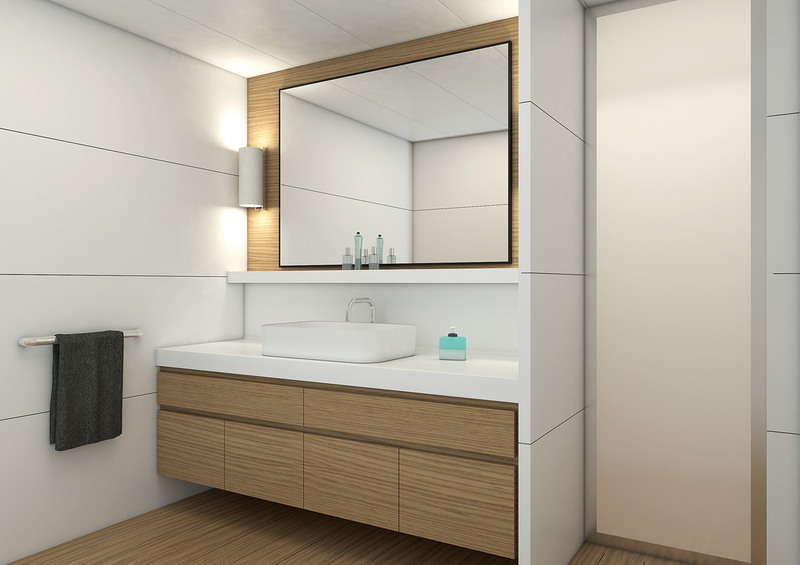 The vertical elements will be completed with abundant use of glass surfaces, in line with present day architectural trends. 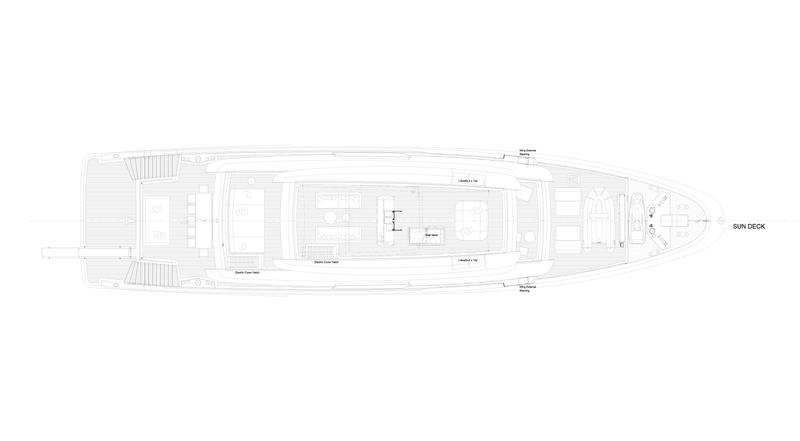 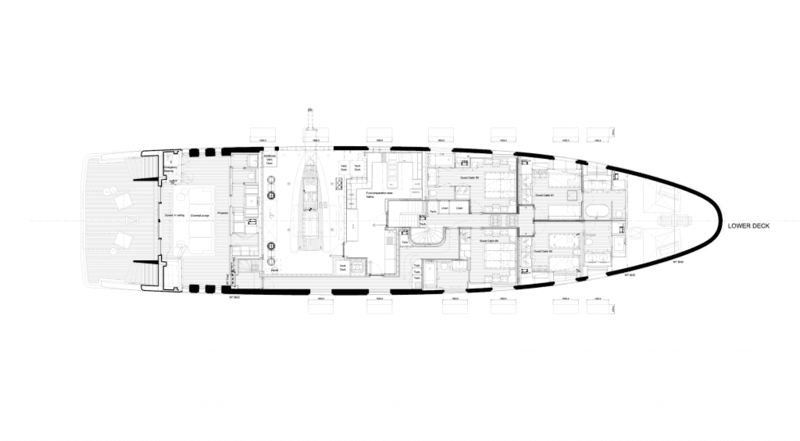 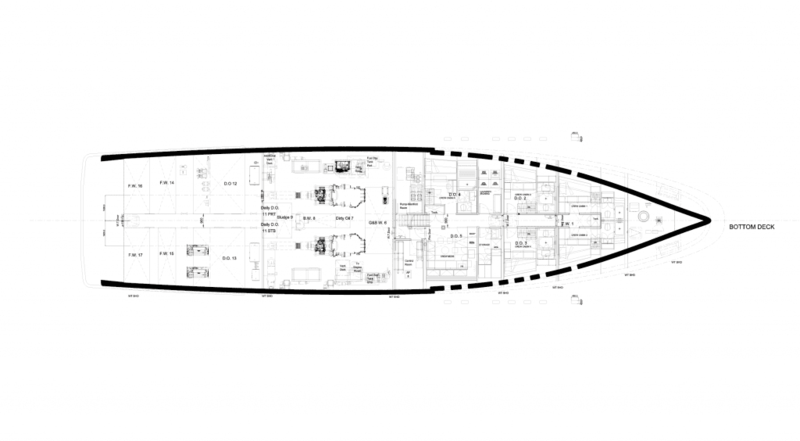 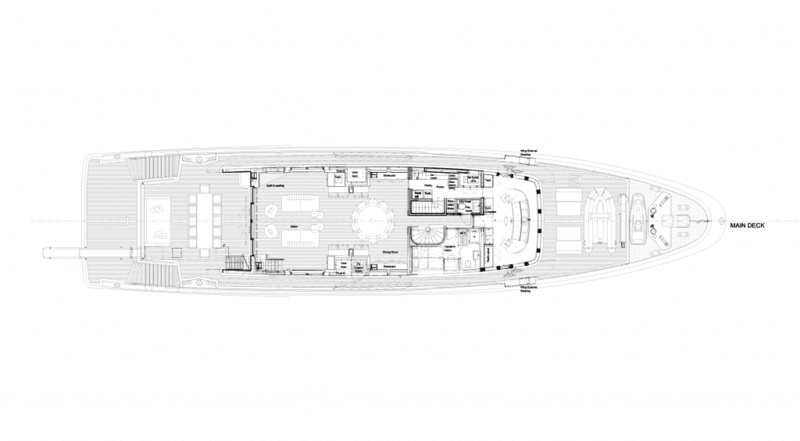 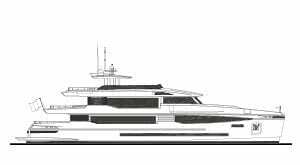 Requests for a fourth deck for the exclusive use of the owner, complete with spacious interior and exterior areas, a galley and storage zones similar to those of a 50 meter vessel, a midships tender garage for an almost 7 meter long tender, have made it necessary to find the proper balance between hull size, superstructure and the design of the whole. 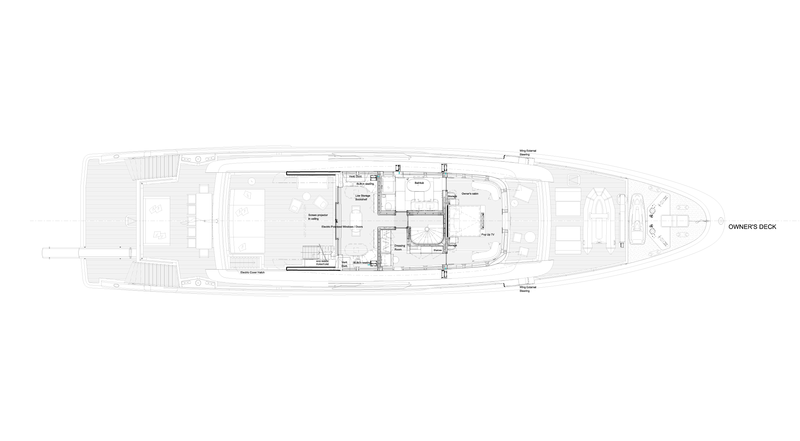 All this in under 500 gross tons. 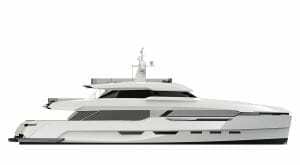 To best satisfy efficiency of the construction progress, hull lines, technical elements, engine rooms and power plants are all complying with this vessel’s special performance requests. 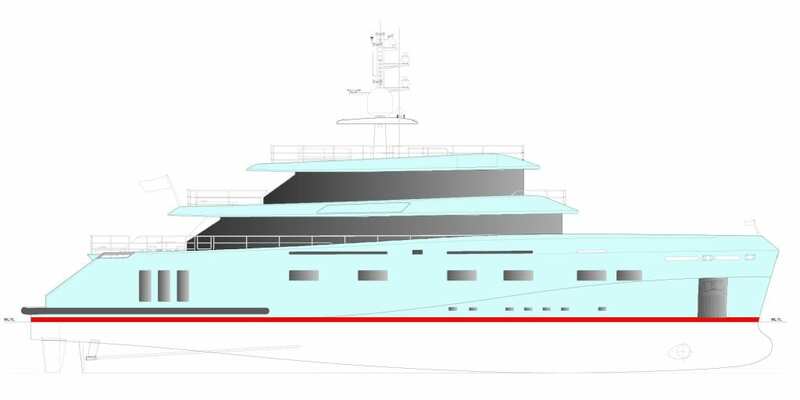 Everything was examined in depth along with Vannini-Oleggini Naval Design/Engineering Studio of La Spezia during the project’s preliminary design period. 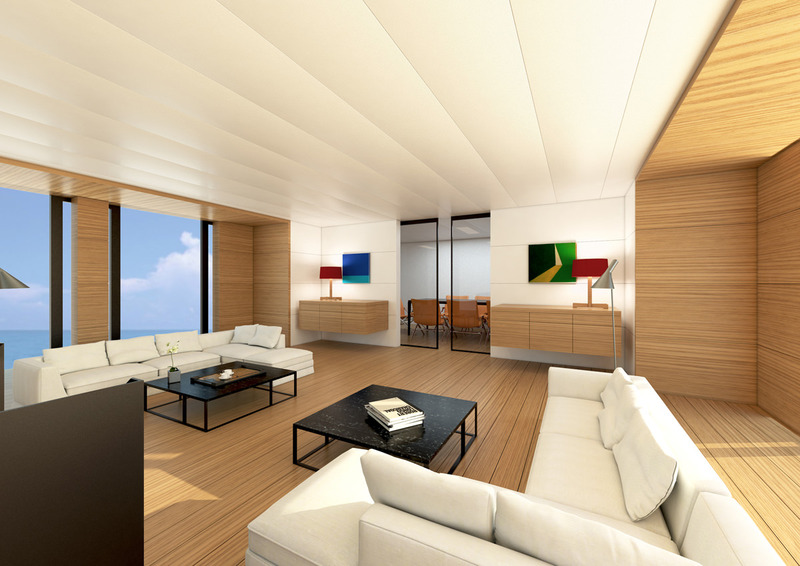 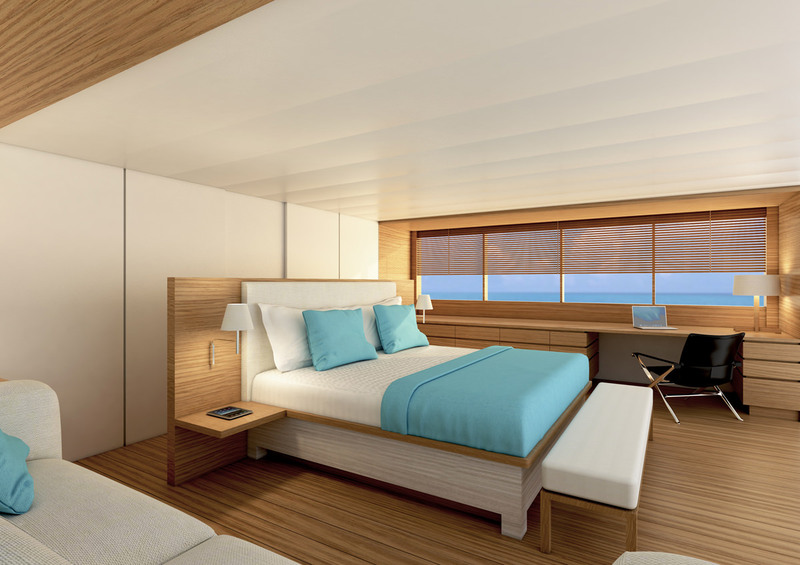 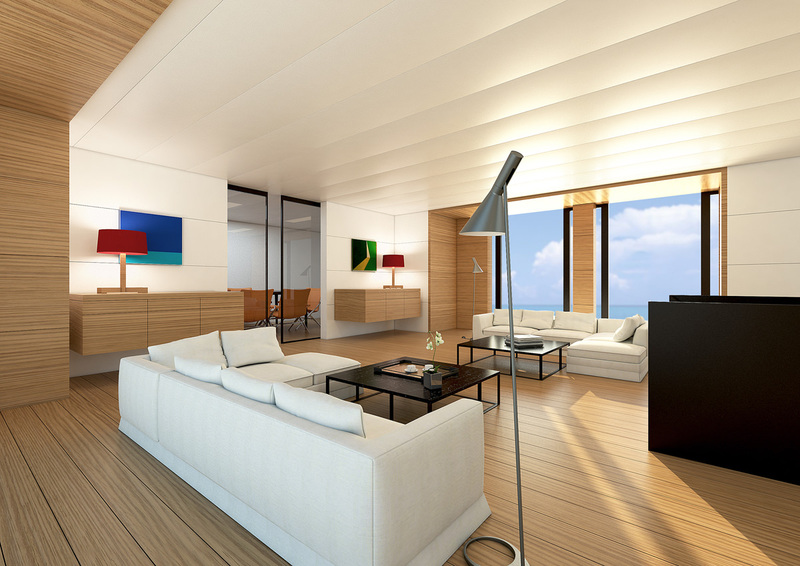 Interiors will be sober with well lit luminous spaces; a balance of wood trim, lacquer and cloth. Keeping in mind the objective of lengthy voyages, special attention was paid to the design of the crew and galley areas. 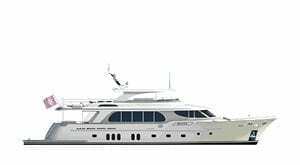 Each deck has its own service pantry, while a beach area with theater, locker rooms and diving equipment area, open air dining and sunbathing areas, BBQ and bar on the sun deck complete the comfort elements of this 40 meter yacht.